Just in the nick of time, I completed the 9th block for the Modern Quilts Unlimited Everything Old is New Again block and quilt challenge. I am calling this one Adrift. 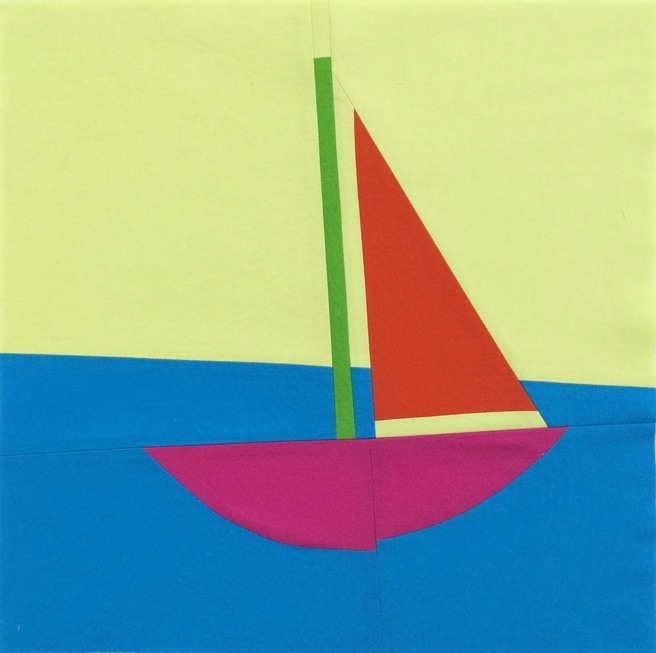 I had every intention of making an improv pieced sailboat and it actually started out that way. The hull is two freehand drunkards path blocks pieced together (with the intentional offset on the bottom of the hull). From there, I started planning too much and here is the result. 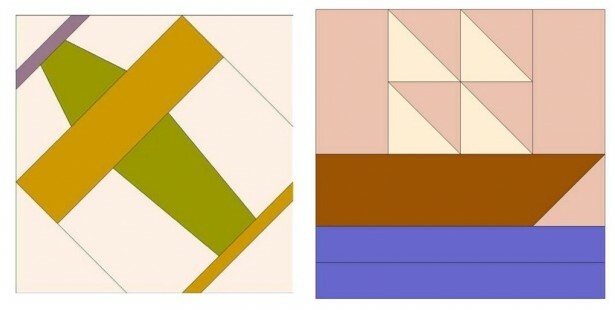 This month, we were given the choice of two blocks, the airplane or sailboat, to interpret in a modern way. Since I was including Michael Miller's Cotton Couture in Azure in most blocks, I thought it would be a good 'sea' and used the sailboat for inspiration. 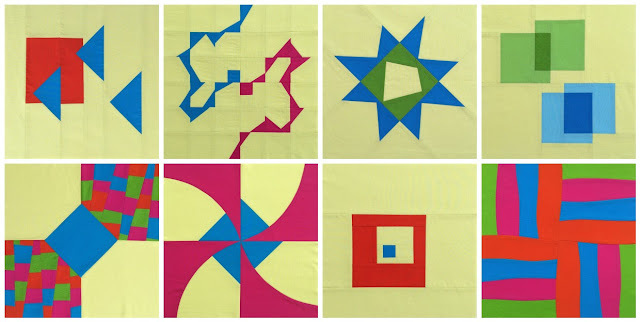 I have used the same Cotton Couture colors in many of the blocks. Pluto has been used as the background fabric throughout except for block #8. Other Cotton Couture colors used are Apple, Lava and Magenta. Here are my previous eight blocks. You can read more about my Rail Fence block here and Square in a Square block here. I can't believe we only have three more blocks to complete and then the quilt challenge will take place. You can read more about the challenge rules here. 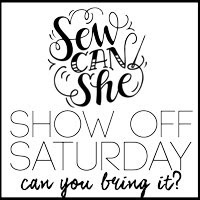 I am excited to show off my 9th challenge block on Show Off Saturday with Caroline at She Can Sew. Loving your block interpretations Paige. Your sailboat looks like it is bobbing in the waves. I love how you did it Paige - whether improv or semi-planned, it looks perfect! The sailboat looks fabulous in the sea. I love seeing these blocks together, Paige. Your sailboat block turned out great. It will be a nice addition to your sampler!